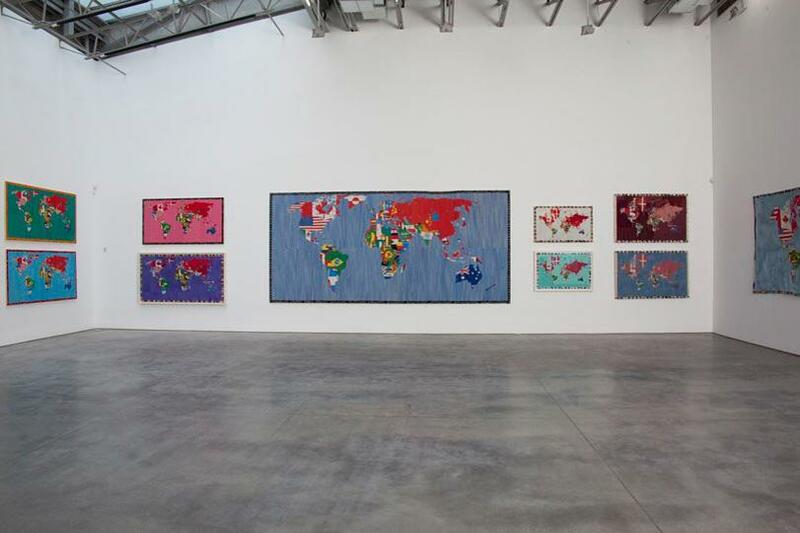 Gladstone Gallery and the Fondazione Alighiero e Boetti, working in close association with the Archivio Alighiero Boetti, are pleased to announce the first ever retrospective entirely dedicated to Alighiero e Boetti’s Mappa series. 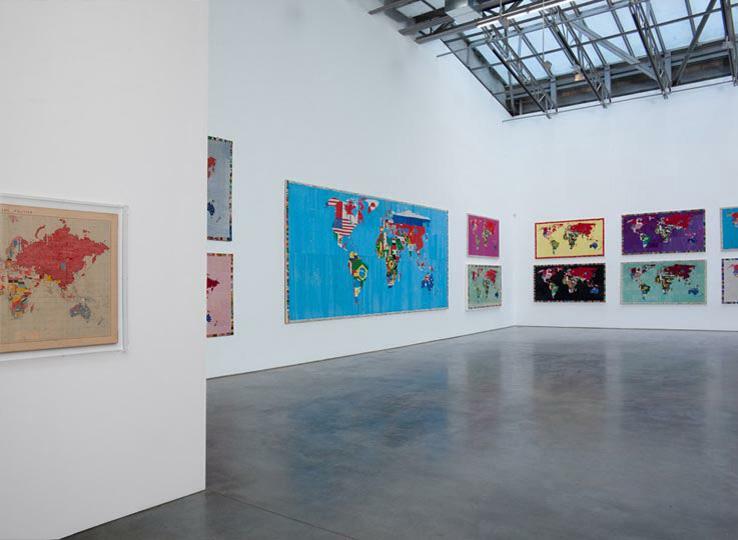 During his second voyage to Afghanistan in 1971, Boetti pondered the idea of the first Mappa: He commissioned Afghan craftswomen, who following the artist’s directives, hand-embroidered a map of the world in which the geopolitical boundaries were filled with each country’s flag. This first piece began a twenty-year collaboration that continued until the artist’s premature death in 1994. 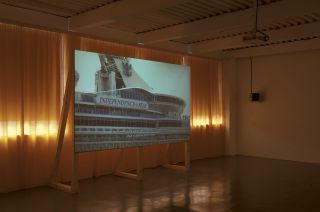 Viewed as an ongoing series, they bring to light the man-made divisions drawn over the continents and chart the political realities of the world from the early 1970s through the fall of the Berlin Wall and the collapse of the USSR. 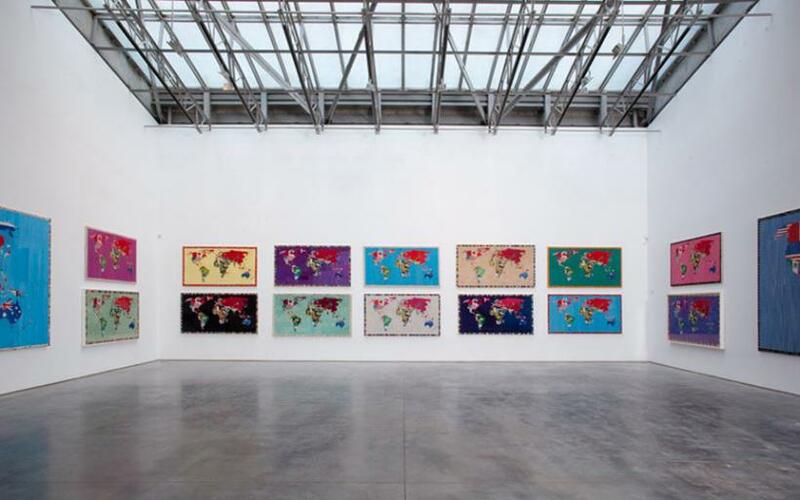 The gallery exhibition begins at the genesis of the Mappa series: In Planisfero Politico, 1969, Boetti filled in a standard classroom map with the colored patterns of each country’s flag. It links the first Mappa to two earlier geopolitical works, 12 forme dal 10 Giugno 1967, 1967-1971 (12 shape from 10 June 1967), referencing the Israeli occupation along the Gaza Strip during the Six-Day war, and the early embroidery Territori Occupati, 1969. The embroidery of each map normally took one to two years and, in some cases, much longer due to external events. The invasion of Afghanistan by Russian troops in 1979 shifted production from Kabul to Peshawar in Pakistan, where the group of Afghan women had taken refuge. It also halted production completely until 1982, with only a few maps being made between 1982-1985. 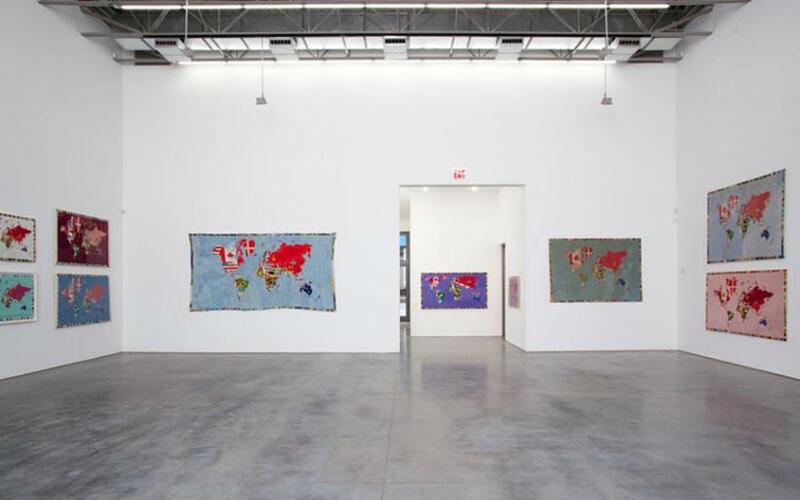 The flags being the essential trope of the Mappa, Boetti selected the thread and decided on the precise colors connected to them’fastidiously checking for and correcting errors. 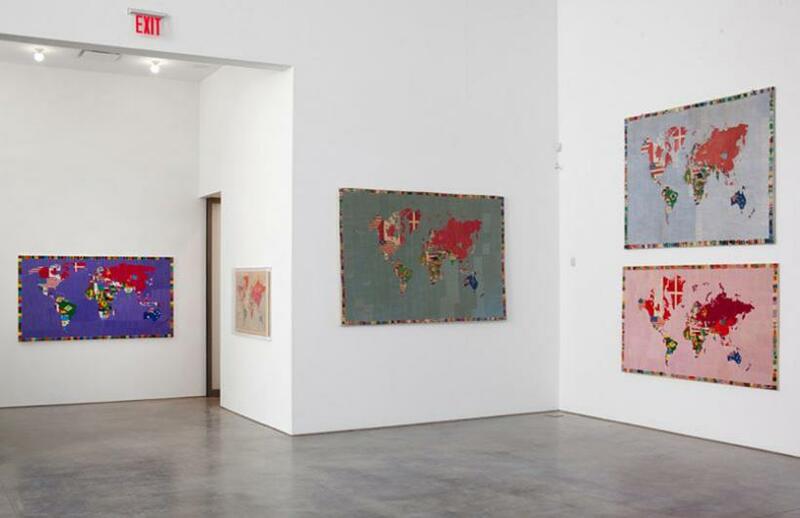 However, Boetti, seeing the chance mistakes made by the Afghan women, accorded them some freedom as the series continued, particularly in their choice of color for the ocean: blue gave way to pink, green, purple, etc. As flags changed according to new territorial divisions and political identities, the color of the oceans also began to change, presenting colorful visions of the world as a mutable and diverse pattern. 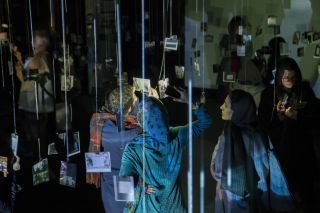 The variety of the series is characterized not only by the plurality of color and size but also by the different textual borders in a mix of Farsi script and Italian. 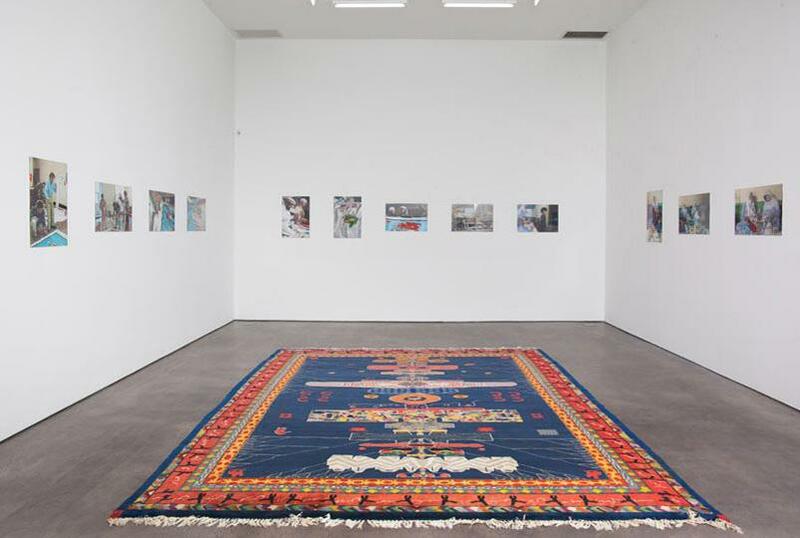 The border texts contain dates or details relative to the work’s production, Boetti’s signature and sayings, as well as excerpts from Sufi poetry. 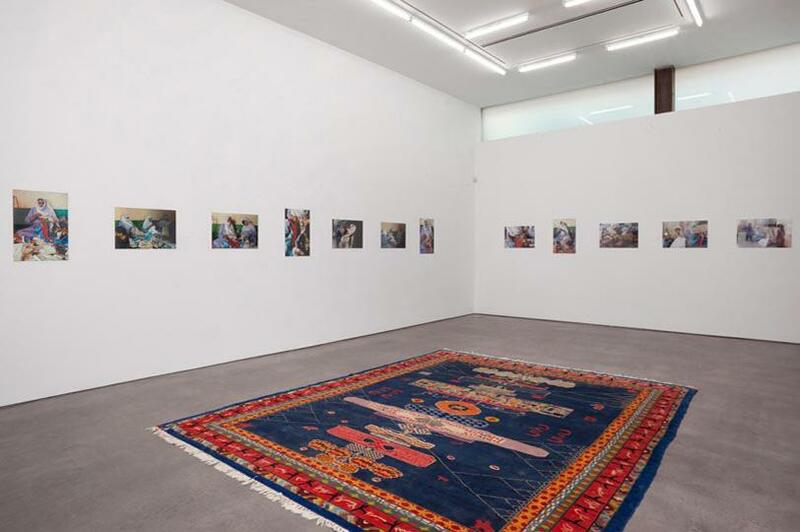 For the Farsi texts, Boetti let men inscribe what they wished, explaining the frequent observations about the plight of Afghani refugees in Pakistan and jihad. 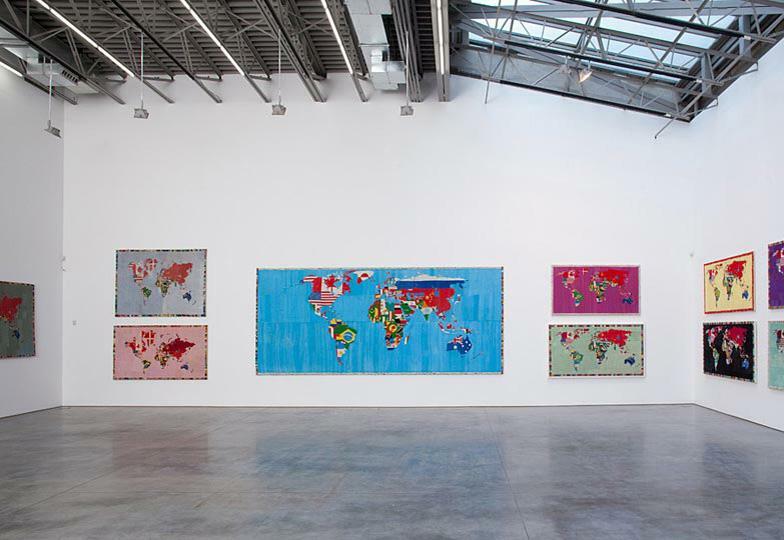 It is fundamental to recognize Boetti’s global consciousness. His relationship to Afghanistan was not one of exoticism but rather of admiration; his later works took on a less Westernized character and were infused with local artisan tradition. In the Mappa the meticulous technique and skill pushes the viewer to consider the labor involved in the production and, by extension, the passing of time. The Mappa invite the viewer to locate familiar places and note changes along a fabric of time. Introducing playfulness and political consciousness, they remain neutral while connecting the universal and personal spheres. 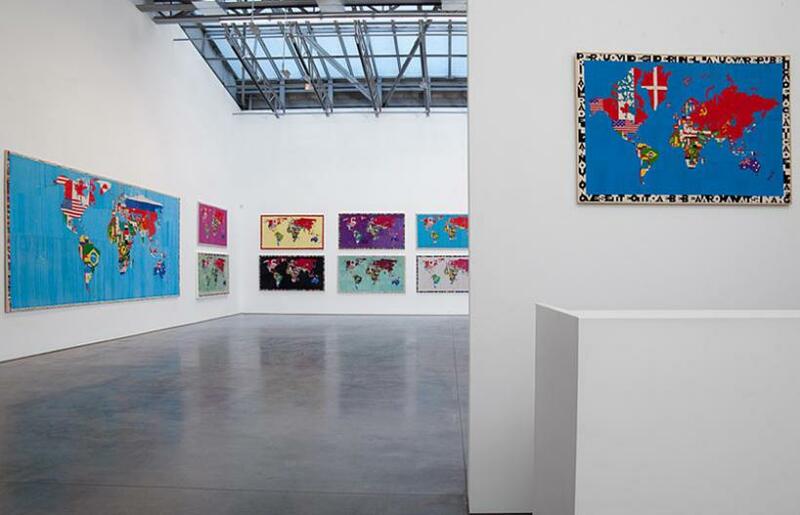 The exhibition will be accompanied by a fully illustrated catalogue edited by Gladstone Gallery and Fondazione Alighiero e Boetti with an essay by Jean-Christophe Amman, who is also the director of the Alighiero e Boetti catalogue raisonné. The first volume of the raisonné is due in 2009 with an Italian and an English edition published by Electa. 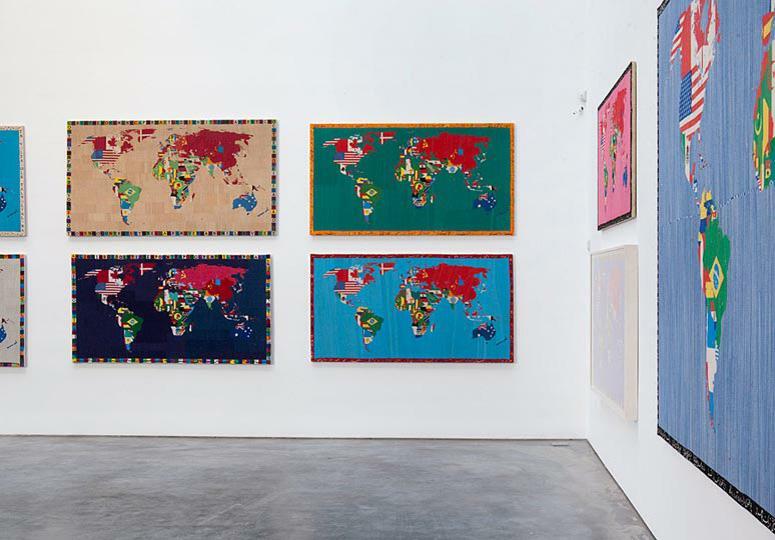 Alighiero e Boetti (Turin 1940 - Rome 1994) has been the subject of a retrospective exhibition at MADRE, Naples in 2009; other solo exhibitions include Kunsthalle, Basel (1978); Stedelijk Van Abbemuseum, Eidhoven (1986); Kunstverein, Bonn (1992); Centre National d’Art Contemporain, Le Magasin, Grenoble (1993); Museum of Contemporary Art, Los Angeles (1994); Dia Center for Arts, New York (1994); P.S.1 Contemporary Art Center, New York (1994); Galleria Civica d’Arte Moderna, Turin (1996); Galleria Nazionale d’Arte Moderna, Rome (1996); Museum für Moderne Kunst, Franfurt (1998); Whitechapel Gallery, London (1999). The artist took part in Documenta 5 (1972) and Documenta 7 (1982) and the Venice Biennale (1978, 1980, 1986, 1990, 1995). 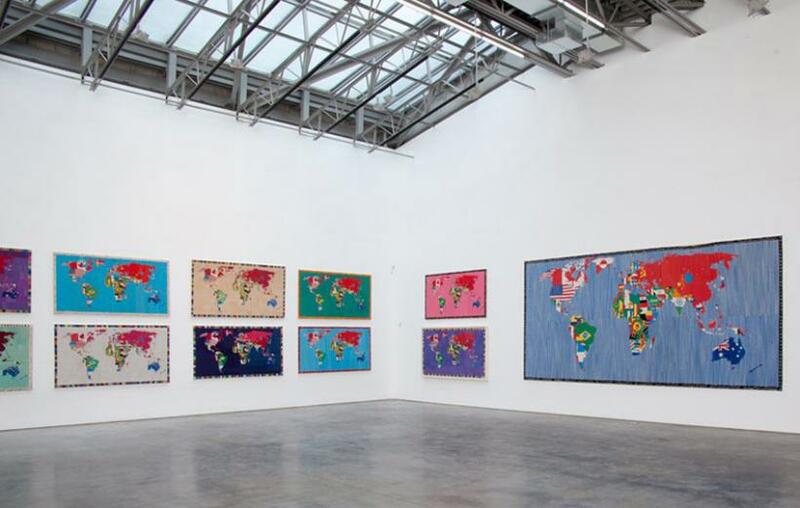 In 2001 the Venice Pavillon was completely dedicated to Alighiero e Boetti’s work.